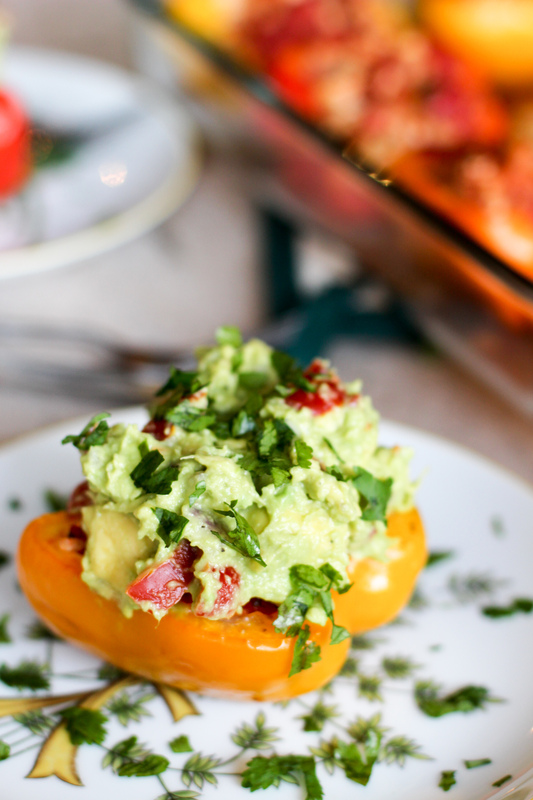 These Whole30 Stuffed Peppers are the perfect weeknight dinner! 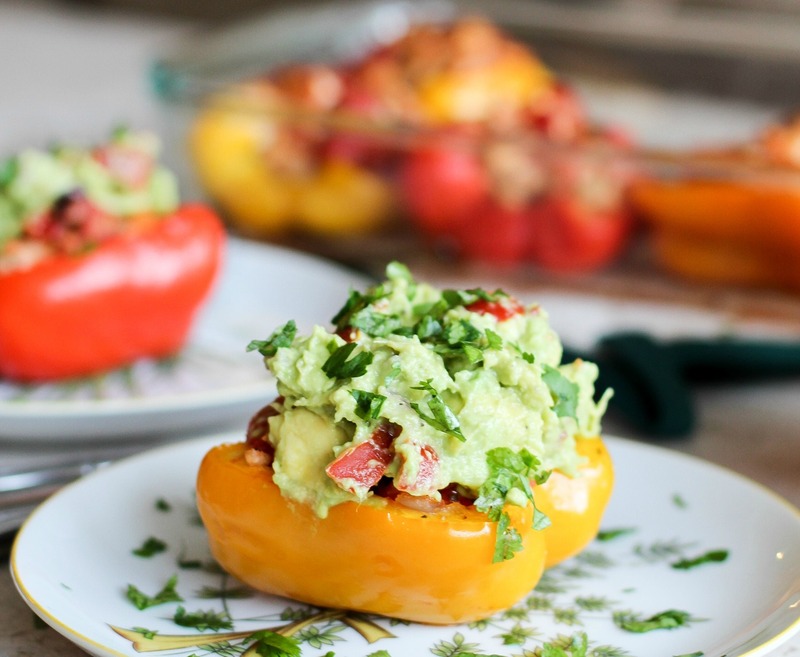 Okay okay, so I didn’t love all aspects of Whole30… and I promise I’ll talk ALL about that here on the blog very soon… but I did love the opportunity to get creative in the kitchen with real, healthy and colorful food! My favorite example? 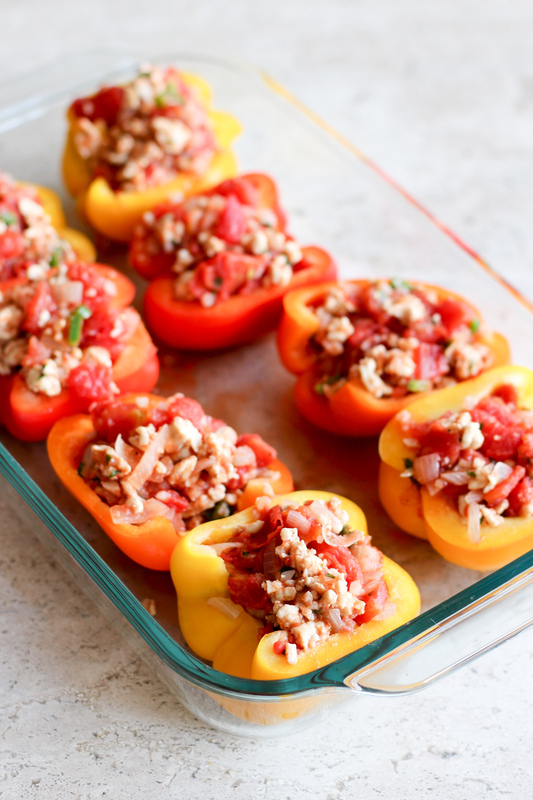 These Whole30 Stuffed Peppers! Not only were they delicious, but my boyfriend went CRAZY for them and I have a feeling this will be a staple recipe of mine for a long long time. That’s a major Whole30 WIN! My mama taught me how to make Stuffed Peppers years ago, but since it’s an Italian recipe, there’s obviously cheese in there. 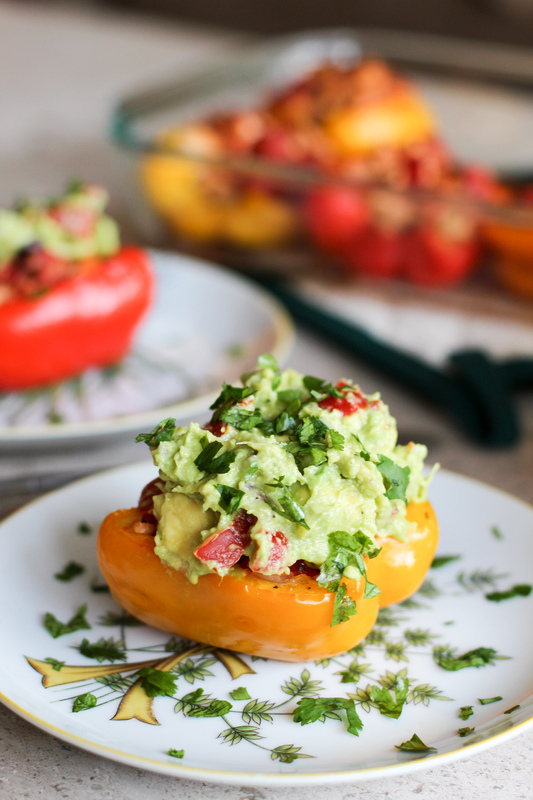 So… I thought, how could I make peps delicious without the dairy? Avocados, DUH! 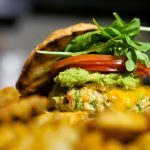 Adding jalapeno and cilantro to the filling gave them a nice Mexican flair, but the guacamole on top really seals the deal. 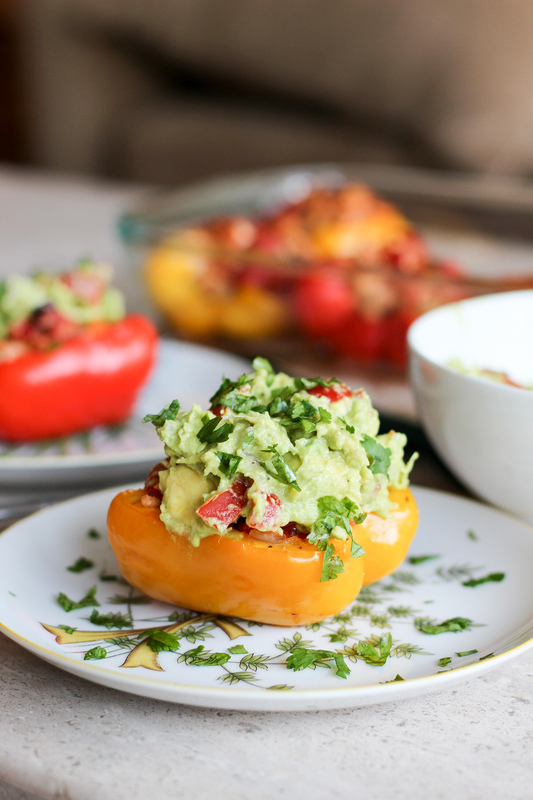 It’s a fresh, bright, creamy contrast to the hot peppers… seriously, SO good. 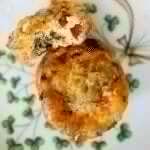 Scroll down for the recipe – and let me know if you make them yourself! I’d love to see your pics!! 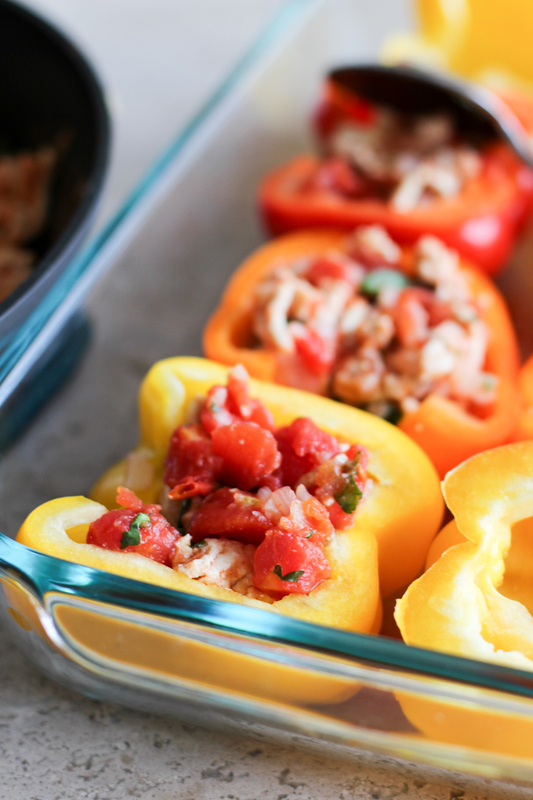 If you aren’t concerned with these being Whole30 Stuffed Peppers, feel free to add brown rice in there instead of cauliflower rice… but also, don’t knock it ’til you try it ? I promise, you can’t even taste it in there!! You can also use ground beef, ground chicken or even sausage for the meat, if you want. Get creative! There is also no requirement to get different colored peppers… I just love how pretty they are all together!! All that matters is that you cook the ones that you and your family like best. I personally love the yellow ones! Those colors though, RIGHT?! 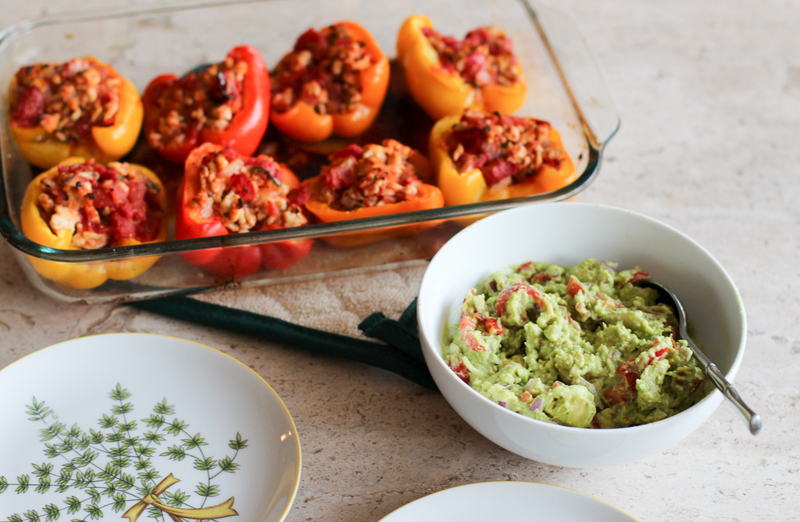 As if I didn’t love guacamole already… anyone else completely addicted?? Yup, thought so. I knew I liked you guys. Open your can of tomatoes and spoon a little bit of the juices into your pyrex so the peppers don't stick. Preheat the oven to 375 degrees. 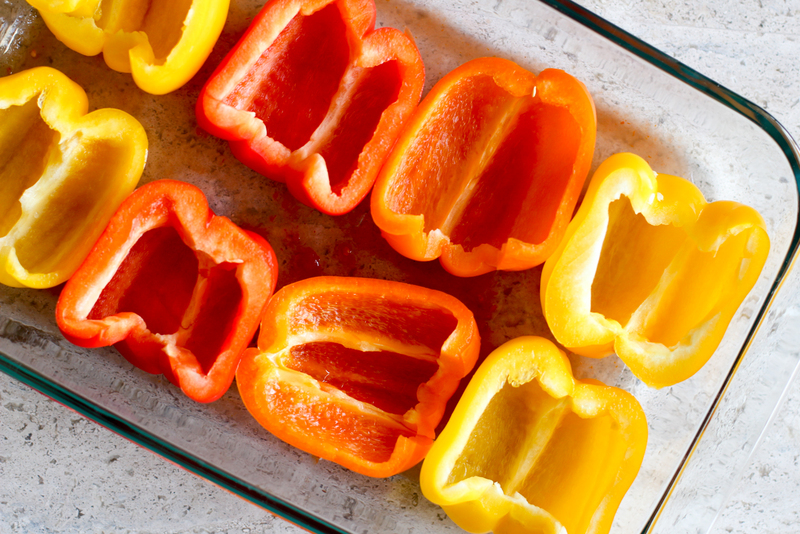 Cut your peppers lengthwise and remove the stem and seeds. Saute onion and garlic until the onion is translucent. 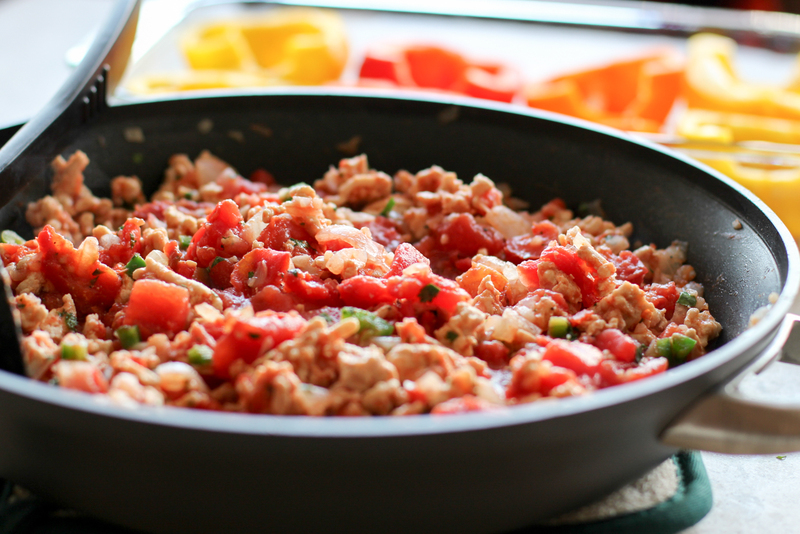 Add ground turkey and break the meat up as it cooks. 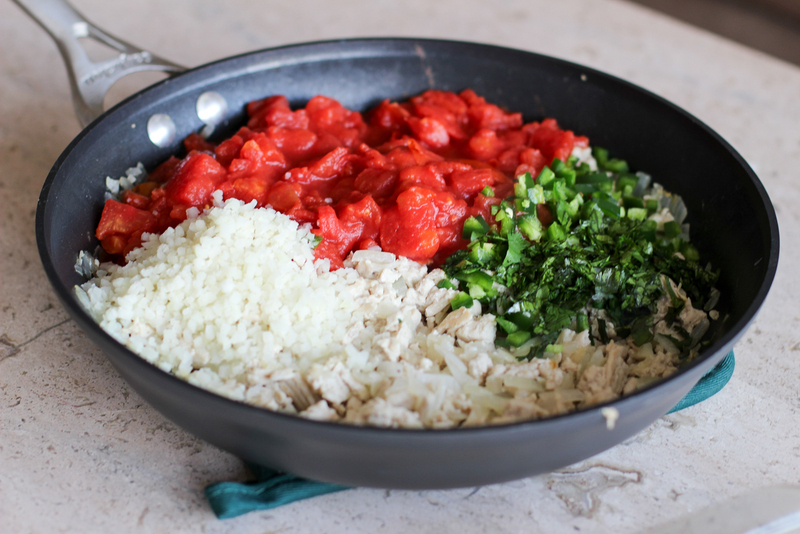 Add jalapeno, canned tomatoes, and cauliflower rice. Stir in cilantro, season with salt and pepper, and remove from the heat. Spoon the filling mixture into the pepper halves. While the peppers are cooking, mash avocado with diced red onion, lime and chopped cherry tomatoes. Season with salt and pepper. 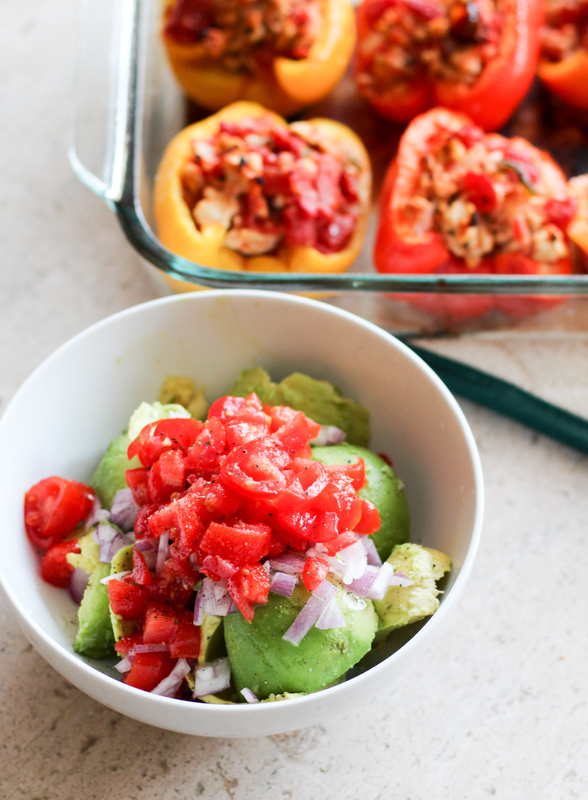 Take the peppers out of the oven and top generously with your guacamole. 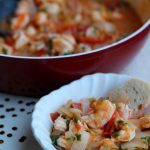 Serve with more chopped cilantro and enjoy! 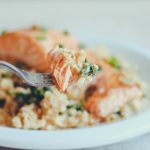 *You can use brown rice instead of cauliflower rice if you're not following Whole30 or Paleo restrictions.